Our physiotherapy program is designed to restore pain free motion, improve core strength, and prevent your condition from returning. We are amongst the most well respected chiropractors in San Diego. We are knowledgable and versed in numerous chiropractic methods, physiotherapy, nutrition, and human ergonomics. Get out of pain quickly and let us help restore optimum health and personal performance. Your treatment is never rushed. People who are new to us will learn quickly that we are compassionate and caring. Check out our excellent reviews. Moderate to severe disabling pain. CHRONIC ANNOYING ACHES AND PAINS. Aches and pains that interfere with the ability to sleep and perform well. AUTO ACCIDENTS AND SPORTS INJURIES. Injury recovery after a physical trauma. I highly recommend Dr. Sams Chiropractic in San Diego. I’ve been to many chiropractors in the past with average results, and am very grateful my M.D finally referred me to this office. They have the latest diagnostic and treatment technologies that took care of my complaints. They educated me on future prevention, exercise, and diet. They are professional with years of experience. It is a family ran business and is super clean, affordable and is centrally located. I am very satisfied with the results over the past few weeks, and look forward to my next few sessions! Thanks guys! I recently started seeing Dr. Baron T. Sams at Sams Chiropractic Center after experiencing severe pain while sitting. When I first came in, I was hunched over, almost completely stiff and barely able to take care of myself. I build and work on websites and have for quite some time, so I was sitting in front of a computer a LOT. This was my problem. Dr. Sams helped me identify the reasons why I was experiencing pain via x-rays, and we’re working on my problem areas, posture, ergonomics and core strength. I have had such a huge reduction in pain since coming in. I’m now back at ~80% normalcy and am on a 3 month plan to help me fully recover, and couldn’t recommend Dr. Baron T. Sams enough. I’ve been going to this place for about 8 years, and they’ve really helped me with my posture. I never realized how key posture was to one’s over all well being until I saw Dr. Sams. He has a real knack for understanding the mechanics of the body, and is honest and trustworthy. I have been seeing chiropractors since I was 5. Baron Sams is hands down one of the best in San Diego. His knowledge of the body is superb and his style is unique to his own. I would and do recommend him to every and anybody that asks. I am so happy his son Barry is taking up the profession to give San Diego several more decades of the best chiropractic care around. Dr. Sams, Mrs. Sams and their son Barry are not only phenomenal at what they do, but they also treat each and every one of their patients like gold. I love coming in to see them and leave with a smile on my face and a new in my step (and back) each and every visit. Barry has been working on me for a few months now after coming in for help with some pretty severe lower back pain. He targeted my problem areas immediately and after a few days of doing my “homework” exercises I felt significant progress and pain relief. Now my back feels strong and I have yet to experience any more pain. We still have spine fitness goals to achieve so I will be coming back to make sure those are met and my body is in tip top shape! Dr. Barry Sams has helped me out with my back tremendously. Not only does he give me the essential adjustments, but also works with me on how to maintain a healthy and pain free back. Out of any chiropractor I’ve been to he is by far the most professional and understands that everybody’s back works differently. He is there to get to the root of the problem and fix it long term unlike some who will just put a temporary band-aid on it. I would definitely recommend him to anybody that is serious about getting their back pain resolved once and for all. Over ten years I have been seen by at least a dozen different M.D.s in practices including orthopedics, spine specialists, podiatry and neurology. I was an entire week at the Mayo Clinic. I have used acupuncture, biofeedback and hypnotism. With no results from any of this, I ended up with a pain management doctor who was quite happy to dispense heavy pain medication with no interest in improving my situation. I consulted with Baron Sams for something I thought was unrelated only to learn that all of my symptoms were spine related. Not only did he know what action to take to correct it all, he possesses an immense knowledge base and understanding of all of the body’s remarkable systems and how they work together. Diet changes, simple exercises and Dr. Sams’ fantastic approach to chiropractic adjustments have freed me of the burning, squeezing, crushing pain of neuropathy that has plagued me 24 hours a day for ten years. This man is a gem! Dr. Baron Sams at Sams Chiropractic Center is the best chiropractor I have ever seen. He is extremely personable, friendly and most importantly easy to convey your current problems with. His years of experience truly show and he has me feeling better after every visit. The family atmosphere at Sams Chiropractic Center makes it that much more comfortable. His son Dr. Barry Sams works along side his dad and is every bit as personable and helpful as his dad. Patty Sams at the front desk greets me with a smile every visit, why would you look anywhere else for a chiropractor/ biophysics center? I have had an absolutely amazing experience while being treated at Sams Chiropractic. Not only do they do a great job with relieving the pain which I have been in for many years, also Baron has sat down with me time after time to educate me on the human body which I was completely illiterate about prior to visiting their office, he has apse spent time with me discussing nutrition and healthy living habits. I would recommend Sams Chiropractic to anyone, I have been to many different Chiropractic offices over the years to deal with different issues, most places are just quick in and out adjustments with out much verbal communication with the chiropractor. This is definitely not the case at Sams Chiropractic. It seems like they truly care about their patient and that education is paramount, so that each patient truly understands what is going on with their body. You’re in good hands with Dr Sams!! He’s done amazing things for my back and I wouldn’t go anywhere else. Adjustments, motorized decompression tables and exercises to strengthen and heal your – Make your appointment today. OMG what can i say about dr. sams, i 1st went to him after feeling some bad pain in my back, this was in 2008, i had a kidney transplant in 1997 and been on a dose of prednisone which is a type of steroid, it has eaten up some of my back bone, so i was trying eveything for the pain, so i tryed acupuncture, and that didn’t work, but were i was getting that treatment, in the same office was dr. sams, so i was asked have you thought about a chiropractor, i said no but i’ll try anything for this pain, and so it began wit dr. sams and wow! after only a few treatments by those miracle hands i was without pain! that was so hard to believe! but it worked! this dr. know’s his trade! i’m still under his care for a 2nd time after a fall, that brought back my pain! guess what one month and no pain again! this is the dr. you must go see, if you are in pain! i thank you dr. sams! oh let me not forget his great wife patty who runs that office! and will help you with any questions you have! by the way dr. sams my golf game thanks you too! oh yea and he won’t break you back eather! thanks dr. sams! Chiropractic is the largest complementary or alternative medicine in the world. Over ten percent of the United States of America utilize Chiropractic care as a way to life a healthier and more fulfilling life. At our office, we provide an all natural alternative approach to drugs or surgery and it is our mission to provide knowledge and treatment from the most complex spinal cases to the patient that just wants maintenance care. A scholarly study published by the Washington State Workers’ study of 1885 on Low back pain patients, states that 98 percent of patients who utilized their chiropractor were able to manage and prevent spinal surgery. While 42 percent of patients who saw an orthopedic surgeon first had spinal surgery for their spinal pathology. 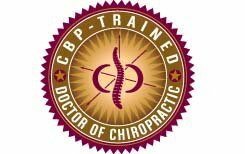 An article posted in spine magazine in 2013 stated that when chiropractic therapies and principals were added to conventional medicine an increase in patient prognosis rose by more than 70 percent.